Tiffany & Co. is all about icons. Now, not long after the brand opened its new cafe at the New York flagship store, it is unveiling an all new watch: the first-ever Tiffany T watch. 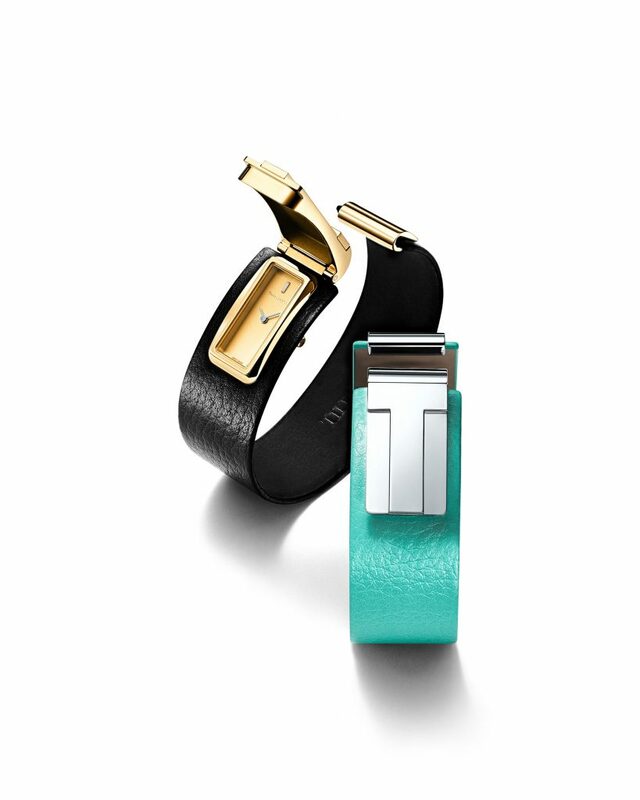 The watch is the newest addition to the brand’s iconic Tiffany T collection. It is a secret watch on a leather cuff. At first glance, it looks like the famed T motif as a metal inset on the leather cuff, but on closer look that T opens to reveal the watch dial beneath. The brushed dial is set with a single baguette-cut diamond at 12:00, and with simple baton-shaped hands. It is created in 18-karat yellow gold on a black strap ($8,500), or in sterling silver on either a black or a Tiffany Blue strap for $2,950. If you opt to go check out this creatively modern secret watch, you should do so at the New York flagship store and treat yourself to breakfast at Tiffany. 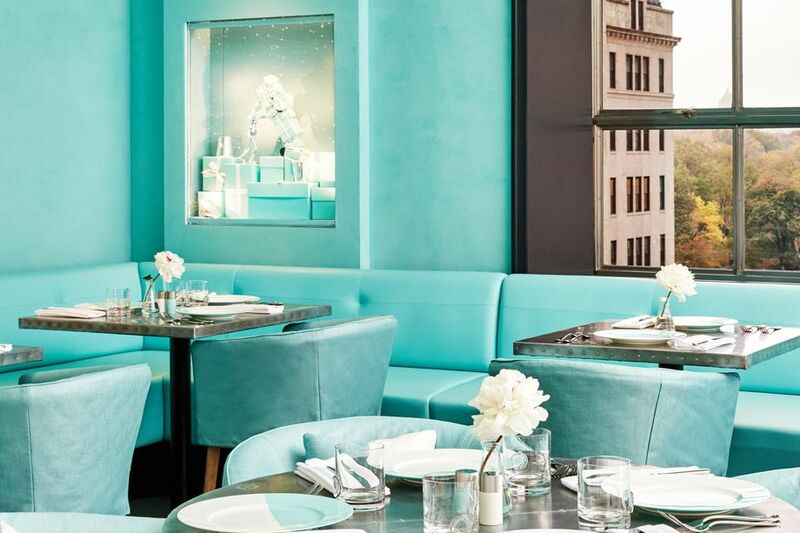 Recalling the famed 1961 movie, “Breakfast at Tiffany’s” wherein Audrey Hepburn as Holly Golightly who would gaze from longingly into the Tiffany & Co. windows with her coffee and croissant in hand, Tiffany & Co has now opened a cafe on the fourth floor of its flagship Fifth Avenue store. 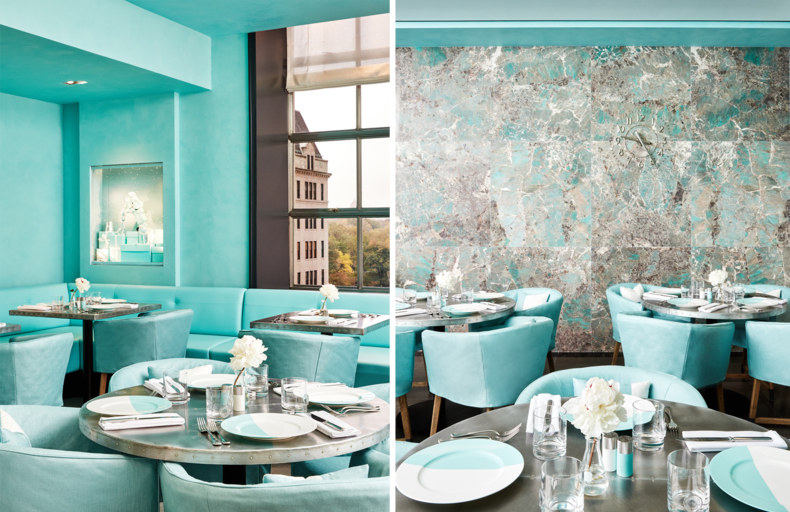 Called The Blue Box Café, the the décor of the restaurant is, of course, finished in the brand’s well-known robin’s egg blue signature color. The walls painted in the exact Tiffany blue, the tableware is in silver and blue and accent touches include a host of items that can also be purchased in the store’s Home & Accessories department, which is located on the fourth floor, as well. The Blue Box Cafe represent’s the brand’s first in-store dining experience. One can enjoy breakfast (croissants, avocado toast, fruit and more) or lunch there — each for a flat fee. While dining, one can enjoy the view of unusual products displayed in vitrines or inset windows around the room. Tiffany & Co. Blue Box Cafe for breakfast or lunch.